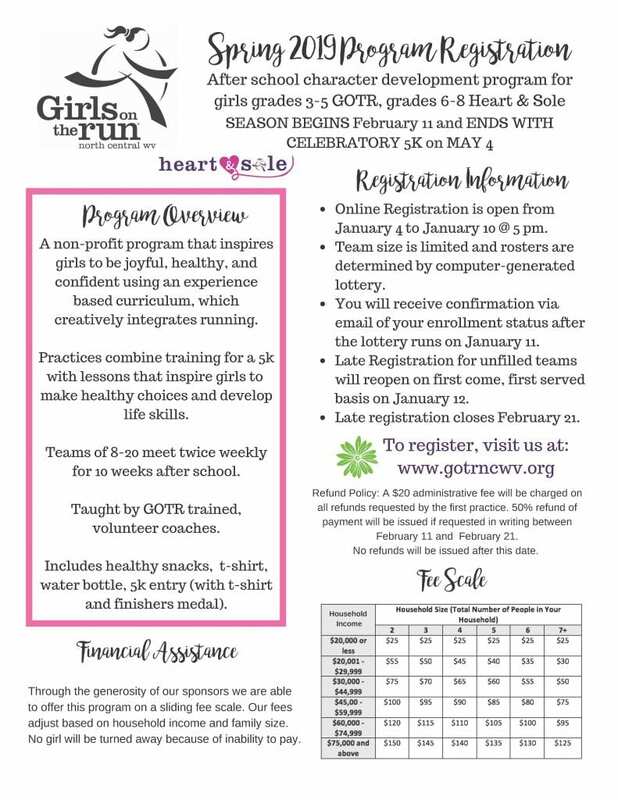 A non-profit program that inspires girls to be joyful, healthy, and confident using an experience-based curriculum, which creatively integrates running. Practices combine training for a 5k with lessons that inspire girls to make healthy choices and develop life skills. Teams of 8-20 meet twice weekly for 10 weeks after school. Taught by GOTR trained, volunteer coaches. Includes healthy snacks, t-shirt, water bottle, 5k entry (with t-shirt and finishers medal).